Dan Stockdale came to Leighton Smith at Pioneer Media to upgrade his TigerGuy.com website. That website was designed years ago to advertise his unique leadership speaking services. 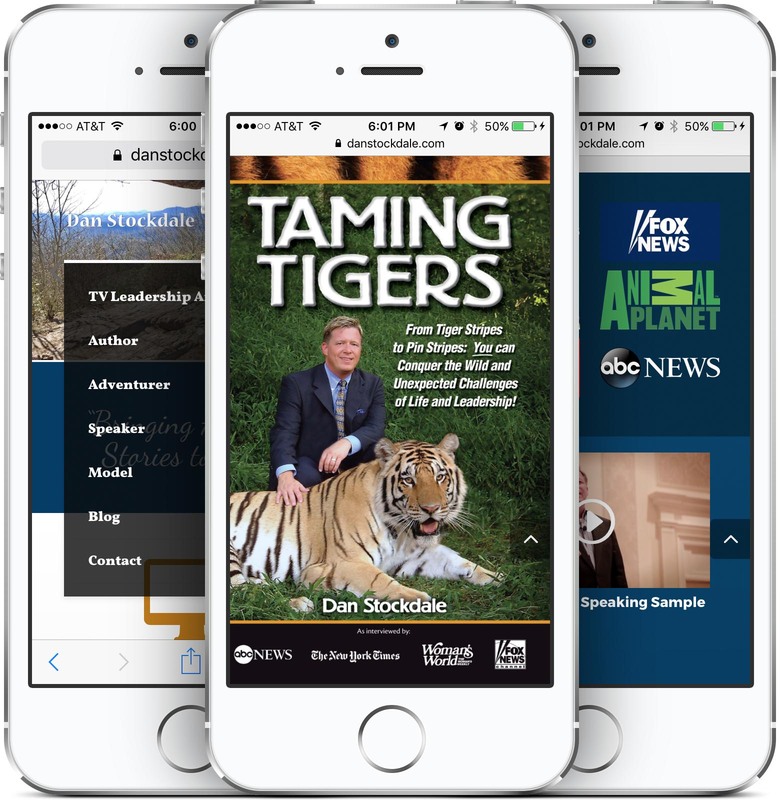 Dan is a motivational speaker, business consultant, and trainer of exotic tigers. He is well-known as “The Tiger Guy” and would regularly bring live animals with him on stage during keynotes and interviews. His new website aligns his brand more toward the speaking and business consulting and less with the tigers. 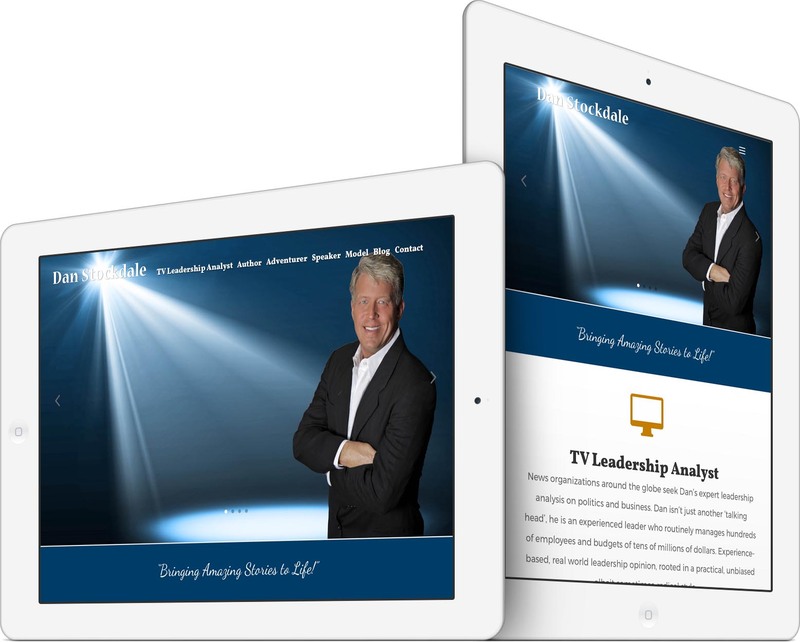 The site divides his skills into 5 sections: TV Leadership Analyst, Author, Adventurer, Speaker and Model. Each section has high-definition photos and video content to represent his talents. Working with Dan has been a treat! Even with years of success and adventure, he is a friendly, humble and grounded man. We have worked together to craft a website that pleases both the designer and client. He has been easy to communicate with despite a busy schedule, and we are still refining the site and added more content. He is open to our professional suggestions, and he and his publicist make suggestions of their own. The website is built on WordPress, the world-famous content management system. It has a responsive design to be mobile-friendly. The site looks stellar on desktops, tablets and mobile devices. Most photos and videos are HD or currently being updated as HD. The Blog is regularly being updated with fresh, quality content, which both engages readers and pleases search engines. 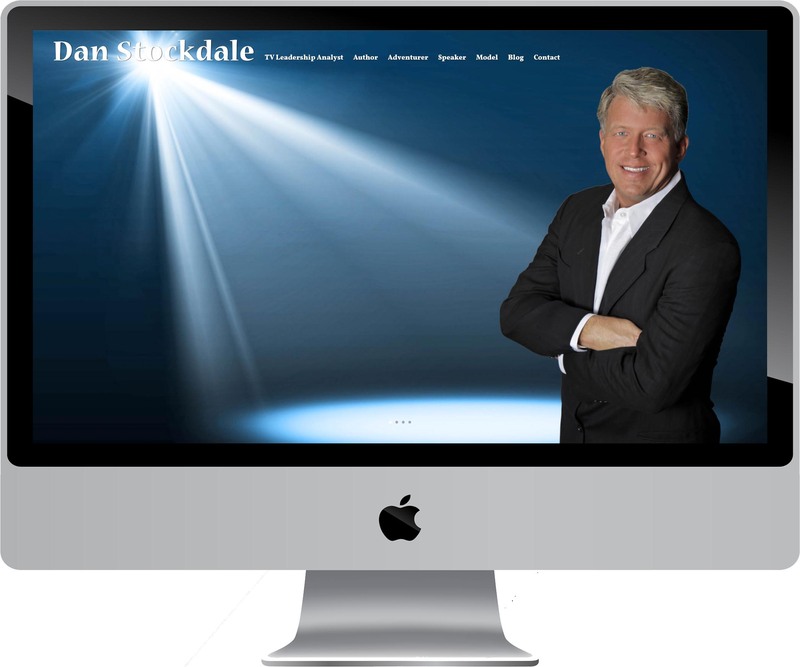 Dan Stockdale’s new website represents his brand well. In addition to our initial website design services, we also have Dan on our Website Care Service, which includes web hosting, domain registration, email hosting, site updates, analytics traffic reports, Google SEO monitoring, regular site backups, virus removal, security patches, and more. DanStockdale.com is in good hands! 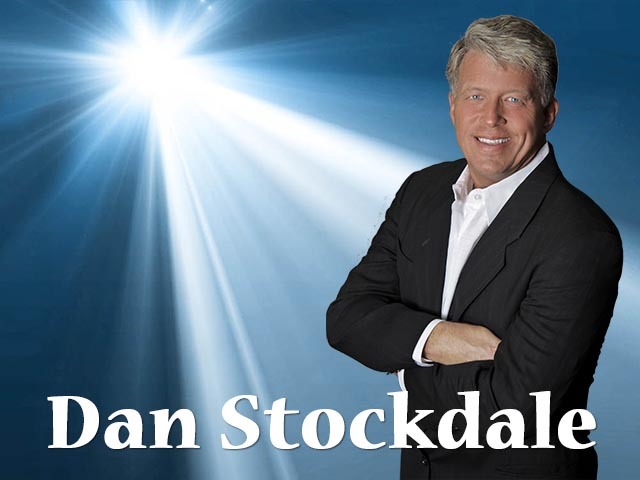 Dan Stockdale is a TV Leadership Analyst, Unique Leadership Keynote Speaker, Best-Selling Author of Taming Tigers, Adventurer, and Model. News organizations around the globe seek Dan’s expert leadership analysis on politics and business. Dan isn’t just another ‘talking head’, he is an experienced leader who routinely manages hundreds of employees and budgets of tens of millions of dollars. Experience-based, real world leadership opinion, rooted in a practical, unbiased albeit sometimes-radical style. Like This Website? Let Us Help You Too!